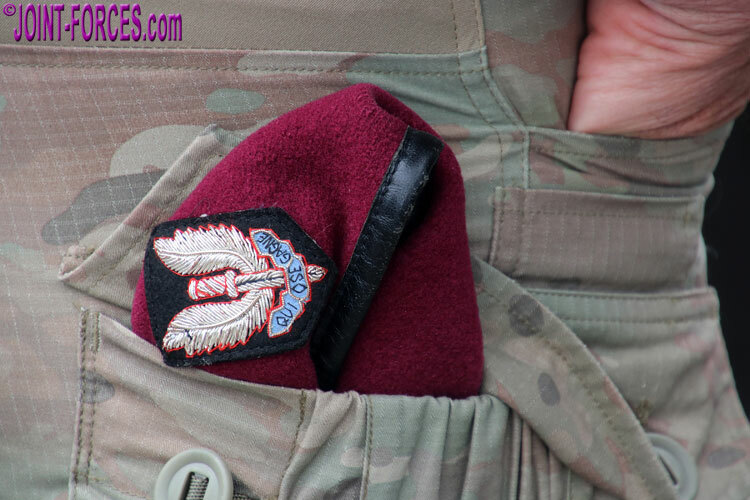 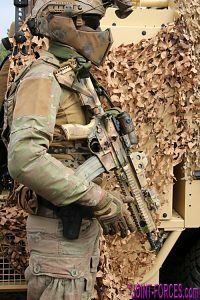 France’s Army Special Forces Command has recently adopted a new operational camouflage pattern as a successor to Crye MultiCam, writes Bob Morrison. 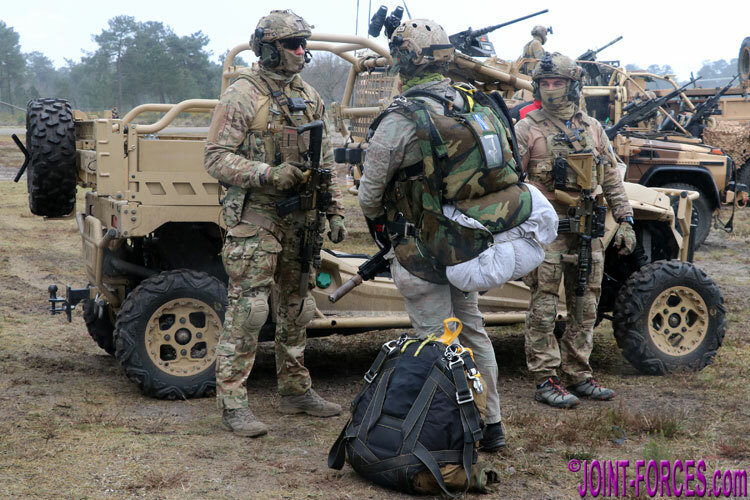 For several years operationally deployed French Army Special Forces Command (Commandement des Forces Spéciales Terre or COM FST) personnel in Africa and the Middle East have mostly worn Crye MultiCam combat uniforms, but recently a new subdued camouflage pattern has been issued to some units. 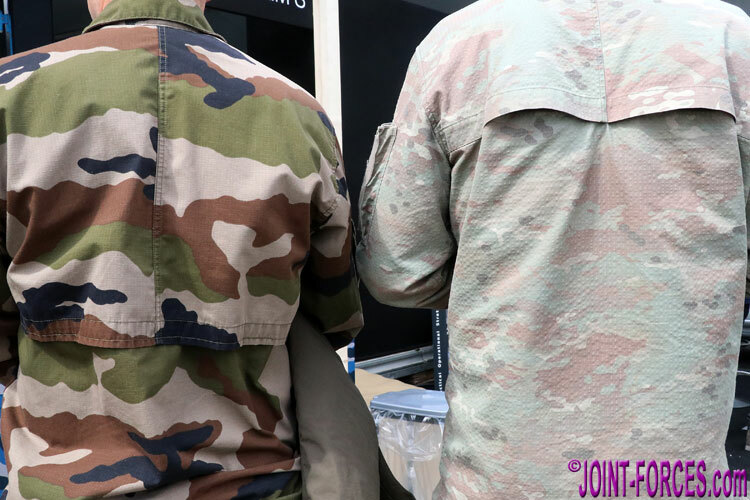 At the recent SOFINS 2019 conference and expo, held at the Camp de Souge Special Forces base near Bordeaux, a large number of operators, mostly from 1er RPIMa, were wearing this new camo and naturally we seized the opportunity to photograph them. 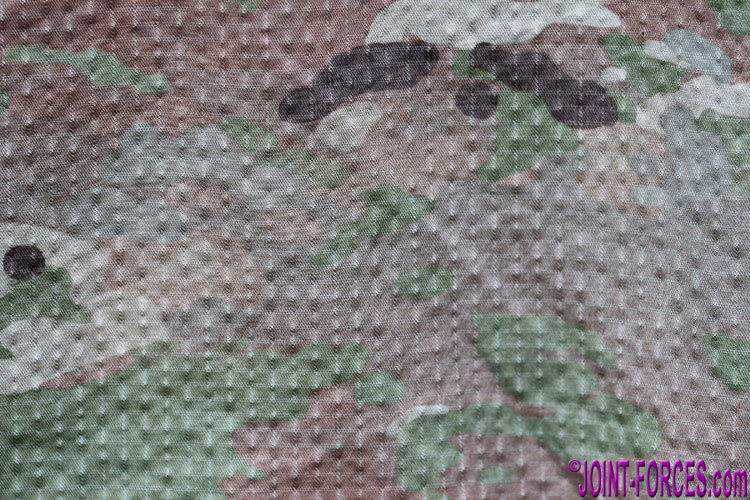 As will be seen when our coverage of the dynamic display at SOFINS 19 unfolds over future features, not all Special Forces personnel were wearing the new camo pattern, which we understand is being gradually being rolled out by unit, and indeed it is highly likely that both MultiCam and standard Central Europe pattern uniforms will be worn for specific deployments &/or theatres where operationally desirable. 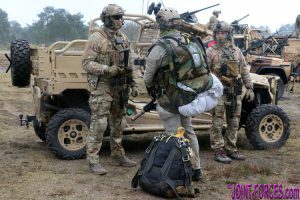 It is also likely that some MultiCam equipment will be worn with the new uniform as the two patterns are reasonably compatible. 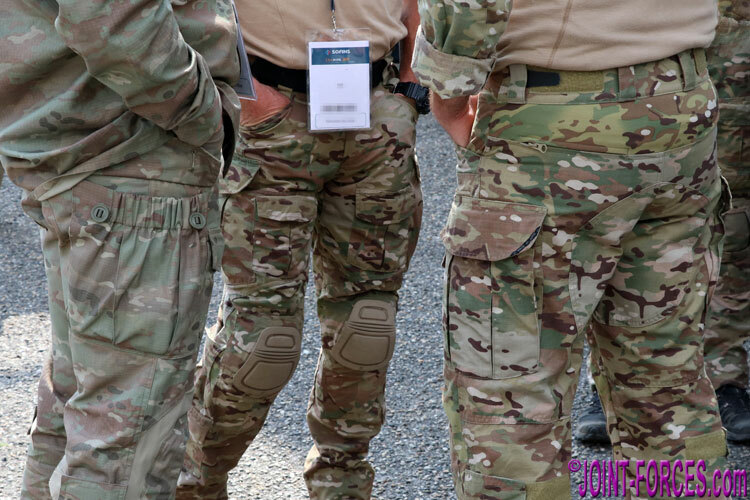 At first glance the new French Special Forces pattern – no officers or NCOs that we discussed it with could, or wished to, give us a specific name for it – appears to be very faded MultiCam, and indeed it was quite hard to differentiate it from some sun-bleached older kit we saw being worn with it, but close inspection reveals that the new pattern has none of the vertical ‘twiglets’ found on commercial MultiCam. My gut reaction is that this predominantly horizontal pattern, which French military personnel assured me was developed by Crye Precision specifically for COM FST, may possibly be a colour variation of Crye’s Scorpion W2 pattern used for the latest US Army OCP (Operational Camouflage Pattern) uniform, but until we can compare large areas of the two fabrics side by side for design similarities this is purely conjecture on my part. 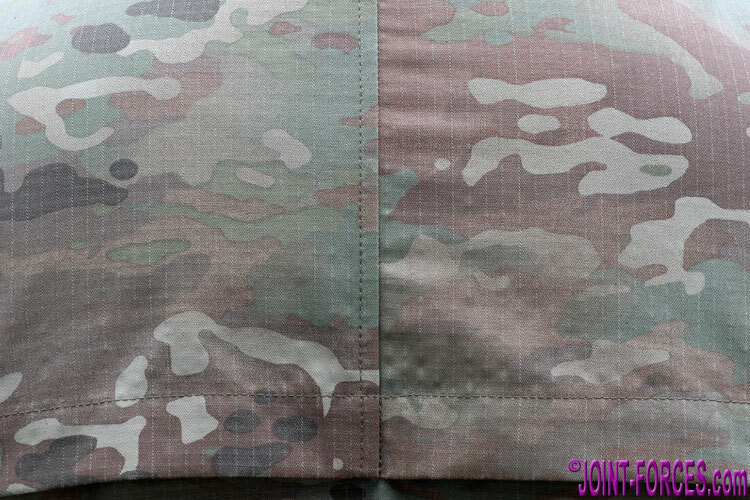 One other small point of note, the new French SF uniform is made from a rip-stop fabric which reminded me of the cloth used for some of the new generation Italian combat uniforms.